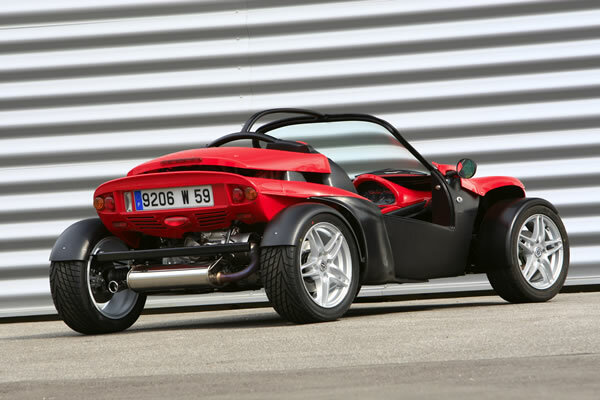 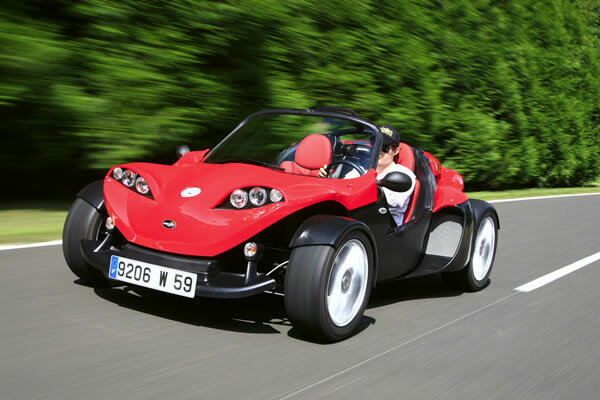 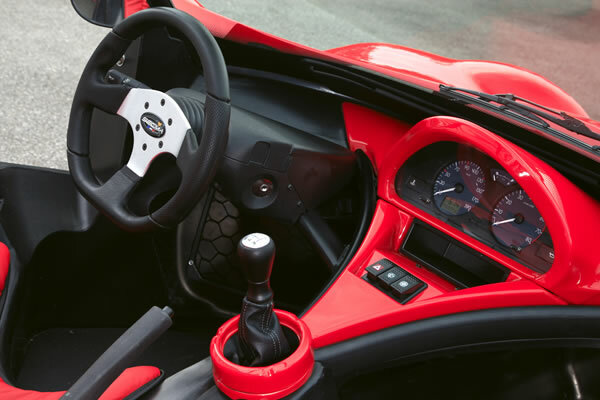 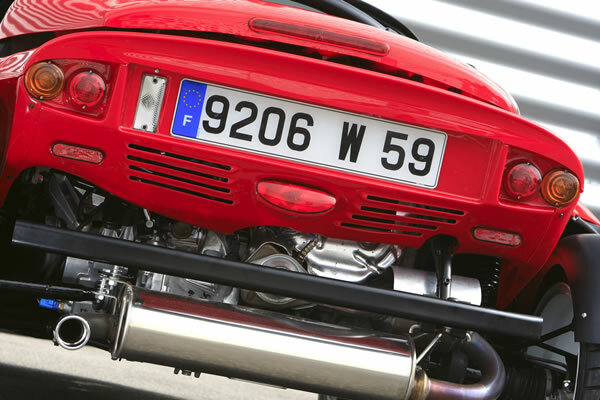 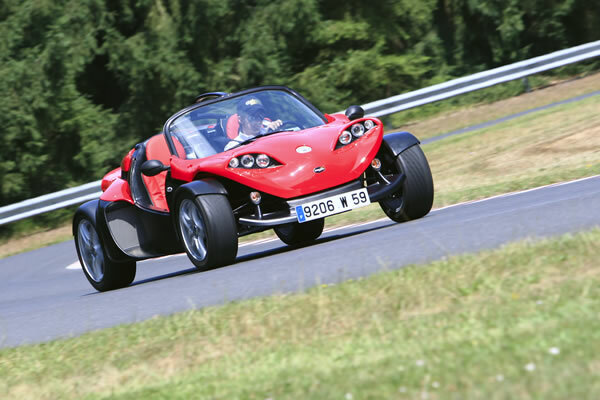 Secma F16 roadster is a fully factory-produced M1 category vehicle made for good, clean fun on the road and offers the fusion of Ariel Atom's aggressiveness and Lotus Caterham's thrills at a fraction of the cost. 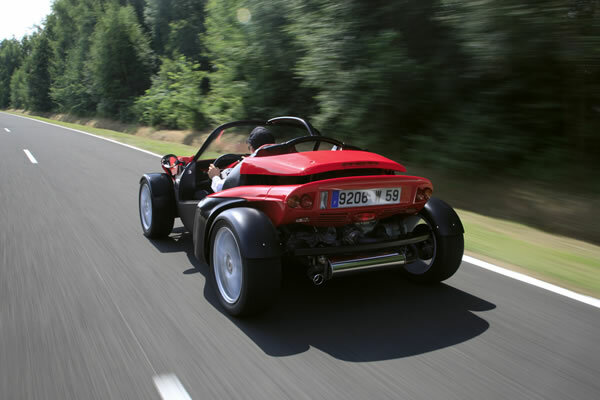 The 1.6 litre Renault four-cylinder engine powering Secma F16 track car produces just 105 HP, but it's mounted in the back for 40/60 front/rear weight distribution and Porsche-like handling. 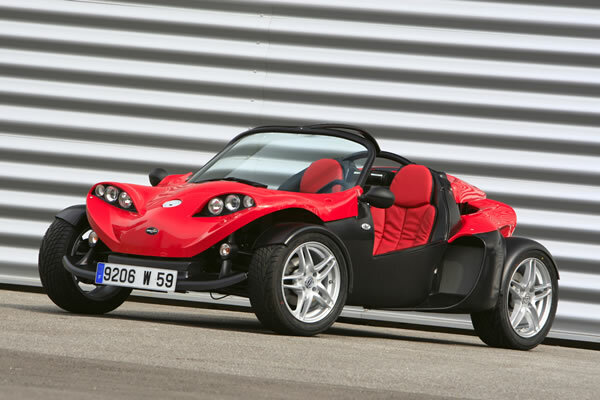 And with only 1.6 litre engine it won't break the bank, but will get you from 0 to 60 mph in less than 5.9 seconds. 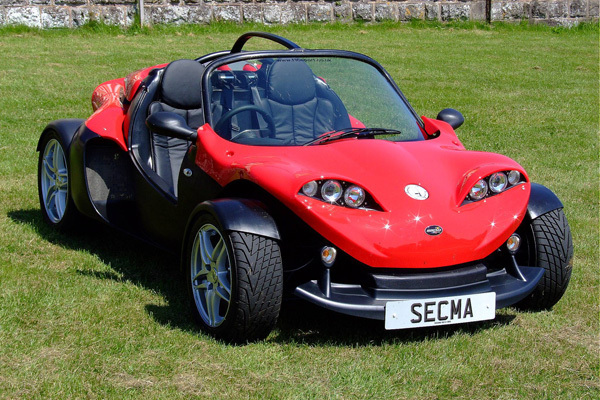 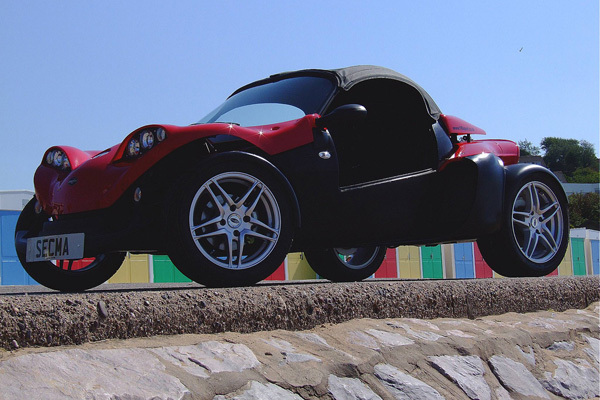 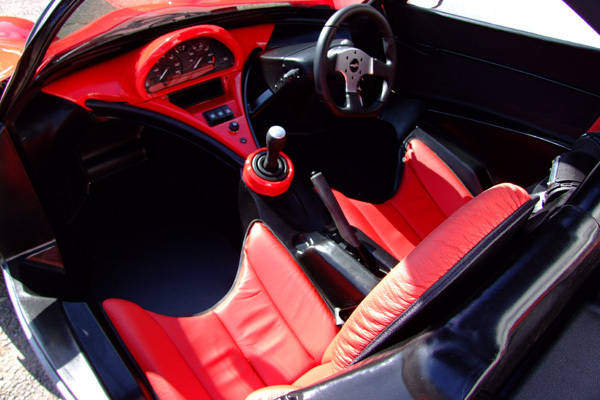 You are required to have a full driving licence to drive this Secma roadster. 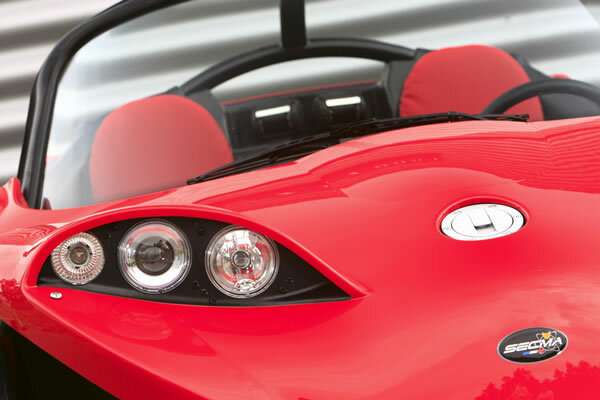 Fuel consumption 6.5l/100km (43.5 mpg) avg.